Xiaomi Mi Note 2: Xiaomi Mi Note 2 is one of the popular flagships which was launched in the month of November 2016, it is yet a new flagship smartphone lovers are attracted to. The phone no-doubt beat Samsung Galaxy Note 7 which became the unsuccessful lead of 2016 for Samsung. As per Xiaomi‘s new leader Mi Note 2, it has attractive body looking at the edges to the front back line. 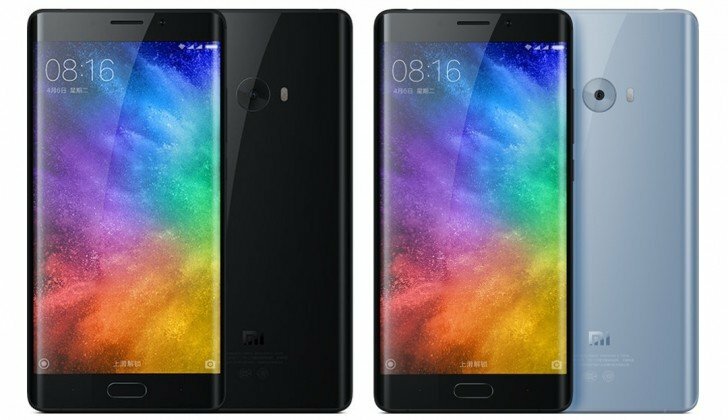 Xiaomi Mi Note 2 is not that much costly as Samsung Note 7, Below we have listed out the key features of Xiaomi Mi Note 2. The dual edge curved 5.7 inch OLED display with a resolution of 1080p and 386ppi, the most noticeable thing about the processor and it is latest Snapdragon 821 chipset with popular quad-core CPU not the Octa-Core which has so many demerits. The quad-core is with CPU 2×2.35GHz + 2×2.2GHz and the graphics card with 530 Adreno. It’s having 22.5MP rear camera with hybrid phase-detect autofocus as 2160p at 30fps video recording capacity, the front facing camera is about 8MP f/2.0, 1080p at 30fps video recording. The Mi Note 2 is based on MIUI 8 with onboard 6.0.1 Marshmallow. The phone is with built-in 64GB of internal storage, 4GB of RAM. The phone looks awesome from both the edges and the networking usage is one of the another awesome stuff we are getting!